The student housing market generally lacks innovation and excitement. Courtside is a new and energetic counterpoint. The design focuses on bright, modern, and energy efficient apartments with European kitchens and the latest technology and conveniences. The unit mix is made up of three and four-bedroom apartments where each student receives their own bedroom and shares a bath with no more than one other student. Courtside has attractive common areas where students can study and socialize including a Club Lounge, Media Lounge, and Lobby with a custom mural. On the ground floor of Courtside is car parking, a bike storage room, a leasing office for Skybox and Courtside, and Little Big Burger –a popular burger joint. 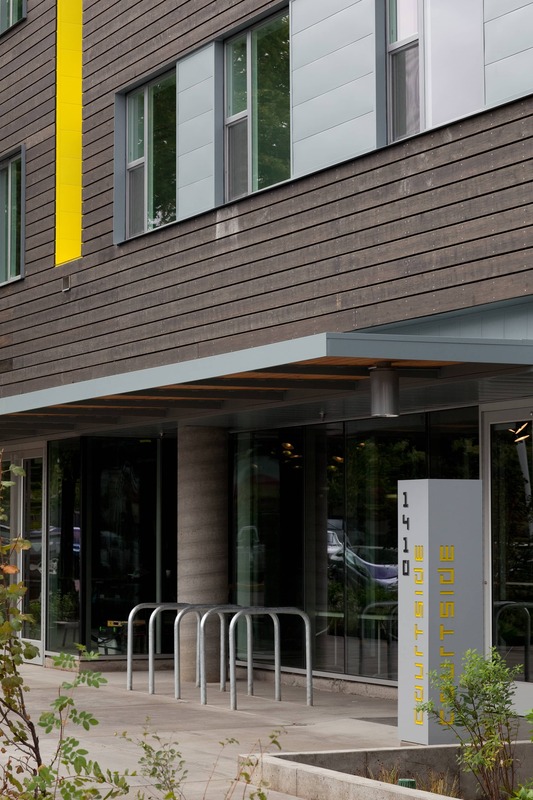 Courtside, a 5-story development, was the first LEED certified multi-family building in the City of Eugene.